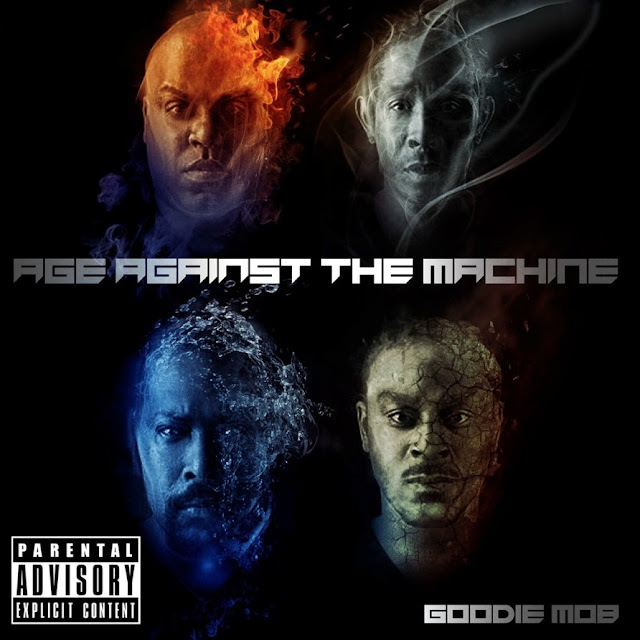 ​Ok, so Goodie Mob has just released their latest effort, Age Against The Machine, and I have to admit that I had mixed feelings going into this one. Without pointing fingers or name dropping, there have been a few hip hop groups lately that have returned after a long hiatus and solo ventures but could not either recreate what they had or successfully progress forward to a new sound. ​Overall, the album is….okay. While the album unfortunately does not mark the triumphant return of Goodie Mob, it definitely has moments that remind us of how good the Mob is and reminds us about the path that Dungeon Family laid out for a lot of southern rap around today. ​The biggest hurdle the album has overcoming is a consistent lack of balance throughout. While their message in the music remains, the selections of beats chosen to go with their lyrics are hit or miss. From: overproduction on songs like State of the Art (Radio Killa) and Come As You Are, to experimentation with sounds newer to them on tracks like Valleujah, to songs like Power and Ghost of Gloria Goodchild which sound more like Cee-lo Green’s solo efforts than a Goodie album, this album never really finds its footing among the different directions the album goes. ​For all these issues Age Against The Machine has, there are few bright moments that give us a taste of what Goodie Mob can do in their element. The tracks Kolors and Understanding have that balance the album struggles to maintain. The music does not outshine the emcees, everyone gets some shine time, and the songs don’t sound forced at all. Now, don’t get it twisted. I’m not saying these two songs are the only dope tracks on the album. What I am saying is these two songs are very reminiscent of what Goodie Mob was doing when they were creeping through the window. ​This album was a bold move for Goodie Mob. The thing about bold moves is that they are usually a swing for the fences, something of an all or nothing attempt. Goodie definitely took some risks with this album and while admirable, they just didn’t hit the mark with any consistency. There are even time where you might wonder if the album should be called Cee-lo Green and the Goodie Mob. ​In theory, the return of Goodie Mob was to be awesome. After all the time on separate ventures, such as Cee-lo’s solo career and Khujo teaming up with Jneiro Jarel, this album would have been a reminder to people that Goodie had their own place in southern rap. Instead, Age Against The Machine comes off as a mediocre album at best.